Has been a school physics teacher, now the PGCE Physics tutor at Newcastle Uni. Author of textbooks for schools: main publisher is Pearson, biggest titles being A Level and IAL Physics books for Edexcel exam board courses. Also BBC Bitesize, OUP, Kognity. Inventor of the Best Fit Line Ruler. GCSE Examiner for AQA Physics. 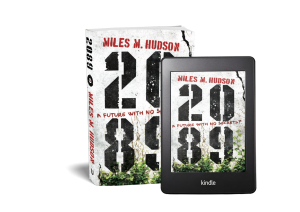 Future-set series of novels, starting with 2089 about a gently post-apocalyptic, Orwellian future England. You could say ‘sci-fi’, but it’s not really lasers and spaceships; ‘dystopian’ catches the themes well. 1984 meets Station Eleven, perhaps. Also a series of detective novels featuring the duo Penfold and DS Tony Milburn. Based in Durham City CID, DS Milburn and his civilian foil, the kiwi surfer, Penfold, solve cases that take in high stakes such as murder and big heists, but in a very cerebral way. Holmes and Watson for the 21st Century, if you will. First novel was The Cricketer’s Corpse, then The Kidney Killer is next. Born in Minneapolis in the Summer of ’69 (January, actually). St Albans School. BSc in physics at College of St Hild & St Bede, Durham University. Still lives in the centre of Durham City. Real vocation is travelling, writing currently pays the bills, and hockey, surfing, cricket, snowboarding and hiking keep me entertained. How would we come to live if there could be no secrets? 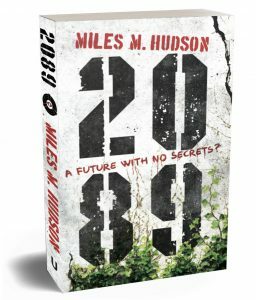 In 2089, one man fights to bring down the all-pervasive surveillance society of which he has been an instrumental part. Jack Smith blows up the old GCHQ building and goes on the run across climate-changed Gloucestershire. Can he outrun the posse long enough to change the world? Download the 2089 Trail competition leaflet here.